Each one of our cleanses has specific properties, which you can see below. 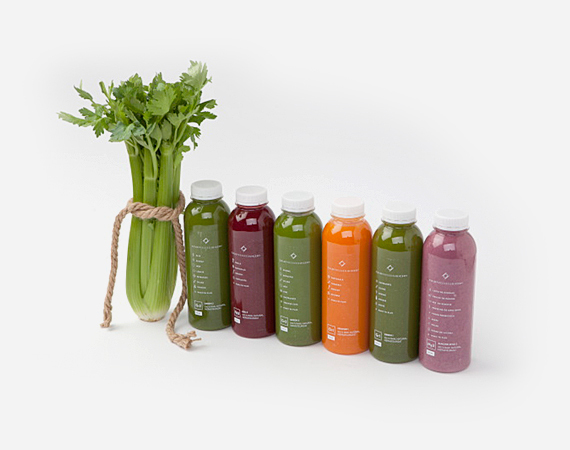 We have 4 cleanses, each with a 1,3 or 5 programme, 6 juices/day and a wide choosing. Every cleanse has special ingredients called superfoods. That’s why they are different from the normal juices. Here are the superfoods contained in the Basic & intermediate Cleanses. Broccoli sprouts – Broccoli sprouts contain high levels of sulfur compounds that act as powerful antioxidants to help fight cancer, reduce inflammation, and support healthy liver detoxification. Broccoli sprouts boost SOD (superoxide dismutase) levels in the body, which is one of our most important anti-ageing compounds produced in the body. Broccoli sprouts contain anywhere up to 100 times the level of sulfur compounds compared to broccoli. Chlorella – Chlorella is a type of blue-green micro-algae that is extremely nutritive and has many impressive health-boosting properties. Chlorella is the richest source of chlorophyll, which has a cleansing and detoxing action, helping to promote the removal of heavy metals from the body. Chlorophyll also supports healthy liver function. Aloe vera juice – Aloe vera juice is beneficial for promoting bowel health and to help treat a variety of digestive tract conditions. Aloe has a cleansing effect on the bowel that helps to maintain healthy digestive function. Aloe has natural detoxifying effect on the bowel, gently helping break down impacted faceal residue in the bowel. Spirulina – Spirulina is a type of fresh water algae that possesses many wonderful healing and health-promoting properties. Spirulina is very alkalizing to the body and it is an excellent source of chlorophyll, which is used to assist with liver detoxification by helping remove heavy metals and other toxins safely from the body. This super algae contains potent antioxidants and high levels of beta-carotene which help protect cells in the body from free radical damage. It also helps boost immunity and energy levels. Probiotic – Probiotics promote the growth of friendly bacteria in the gut. A healthy balance of good bacteria in the gut plays a big part in your immune and digestive health, as well as promoting healthy skin. Dandelion root – Dandelion Root is widely regarded as a supreme liver tonic. This valuable herb is used extensively by herbalists to improve digestion and treat gallbladder and liver complaints. Dandelion root helps stimulate liver detoxification, which helps clear toxins from the body. This bitter herb increases the secretion of digestive juices and enzymes, which assists digestion and liver and gallbladder function. Dandelion root also helps improve the digestion of fats. This is a perfect cleanse for all you regular gym goers and people who exercise often. The juices and super food supplements used in this cleanse will provide you with important nutrients to help restore electrolytes, boost energy levels and vitality, fight free radicals, reduce inflammation, and help boost endurance and physical performance. 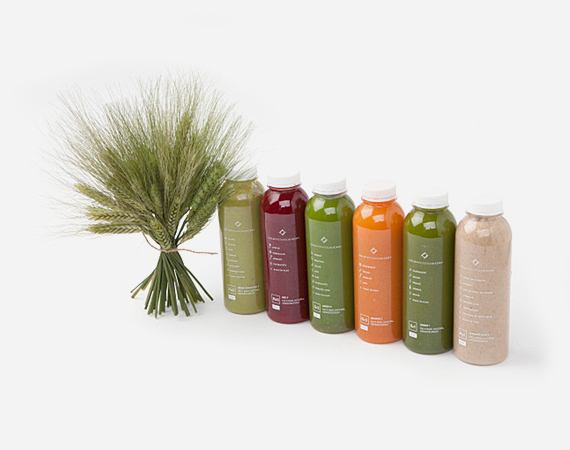 The juice combinations in this cleanse are a bit heavier resulting in calorie richer, gentler cleanse that should take you with ease through your active day. Siberian ginseng – Siberian ginseng (Eleutherococcus senticosus), also known as the ‘root of life’, is native to East Asia, China, Japan and Russia. Were it was traditionally used to increase energy levels and to promote longevity and vitality. Studies have also found that Siberian ginseng can increase endurance and physical performance, making the herb ideal for athletic needs. Siberian ginseng helps stimulate the immune system and is considered an adaptogen, that increases the body’s ability to cope with internal and external stress factors. Siberian ginseng also has antioxidant and anti-inflammatory properties. Camu camu and acai berries are some of the richest sources of antioxidants of all fruits, being around 50% higher in antioxidants than some of the more common types of berries. Their dark purple colour indicates the presence of high levels of powerful antioxidants called anthocyanins. Including these berries in your diet will help protect cells in the body from free radical damage, and reduce the risk of chronic diseases such as cardiovascular disease and cancer and help to slow down the aging process. Purple berries like other berries are excellent sources of vitamins A and C, which are both important immune boosting nutrients. Macca – This Perivan superfood is considered an ‘adaptogen’, as it works wonders for improving energy levels and helping you cope with the stressful demands of modern life. Maca is also popular with athletes as it helps improve endurance and performance. Maca contains high levels of B vitamins, which are essential for producing energy, and is also a good vegetarian source of B12, necessary for healthy functioning nerves. Echinacea – Echinacea is a native American herb that is valued for its powerful healing properties. It strengthens our immune system to fight off bacteria, viruses and other illness causing microbes. It also has an anti-inflammatory action that makes it beneficial for alleviating inflammatory skin conditions such as acne, eczema and psoriasis. Echinacea may also help protect skin collagen from free radical damage, which is a major cause of wrinkles. Baobab – This native South African fruit is a fabulous way to give your diet boost in skin-loving vitamin C and antioxidants, which are both important nutrients for preventing wrinkles and premature skin ageing and they protect and maintain collagen in the skin. Baobab also benefits the skin by being a highly alkalizing fruit and a great source of fibre to help promote bowel regularity. This super fruit also acts as a prebiotic to enhance the growth of beneficial bacteria in the gut. Super greens – Super greens are highly alkaline-forming, along with possessing many exceptional health benefits for the body and skin. These nutritionally dense ‘superfoods’ are rich in antioxidants, iron, beta-carotene and omega-3 fats which are essential for healthy, soft, supple skin. Consuming more antioxidant is one of the best ways to protect your skin from free radical damage caused from the suns UV rays and other environmental stressors. Wheatgrass – Wheatgrass is a fantastic natural detoxifier, helping remove toxins from the body and skin. Consuming wheatgrass regularly can help cleanse the body and promote clearer healthier looking skin, while reducing the likelihood of breakouts. Wheatgrass is a superior source of chlorophyll, which has been proven to aid in detoxification of the blood and tissues. Wheatgrass also has antibacterial and antiseptic qualities that can help improve skin healing. Probiotic –Taking a probiotic is a fantastic way to support healthy immune function and digestion. Probiotics have been shown to be beneficial for supporting skin health by improving the skins bacterial balance to help reduce the risk of skin infections and inflammatory conditions like eczema, dermatitis and psoriasis.